This entry was posted on March 14, 2017 by Anbritt. When you think of Augusta, Georgia, you almost automatically think of The Masters and the historic Augusta National Golf Club. Despite visiting Augusta numerous times to host Masters Golf Tours, I admit, I had barely explored beyond the street that the Augusta National is located on, Washington Road. 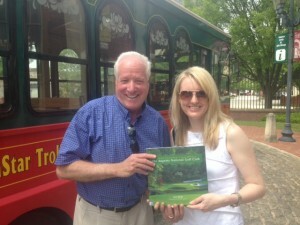 A few years back, during one of my long weeks of working during Masters Week, I decided to escape to the Augusta Museum of History and eventually found myself on a trolley tour hosted by local historian and author, Stan Byrdy. Stan is the author of two great books that every golfer and golf fan should own, The Augusta National Golf Club: Alister MacKenzie's Masterpiece, and Augusta and Aiken in Golf's Golden Age. As we toured around, Stan talked about the Revolutionary War and Civil War history of the city. We explored neighborhoods with stately homes and the homes of famous city residents, including Ty Cobb and Woodrow Wilson. Then Stan began tracing the history of golf and how the players and course developers that began their careers in Augusta have shaped the game that we know and love today. In the late 1800’s and early 1900’s, Augusta and nearby Aiken, South Carolina, were the Winter Retreat of the elites. Massive mansion hotels, luxury homes, polo clubs, and golf courses entertained the wealthy, famous, and powerful throughout the winter months. 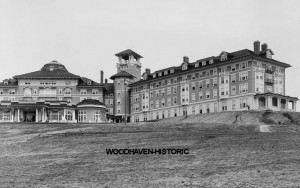 Today, the mansion hotels are gone, but the historic courses still dot the landscape and many are open to the public to play. 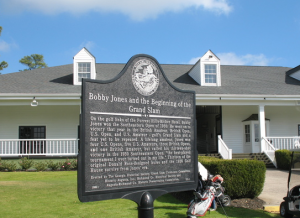 Imagine teeing off on the same tee box as Bobby Jones once did? You can still do that at Forest Hills Golf Club, built in 1926. A fan of Patty Berg? Play the Aiken Golf Club, built in 1912, where Patty played in numerous Women’s Invitationals in the 1930’s. In the heart of all this history, several modern and championship level courses have also been built in the area including The River, Sage Valley, Jones Creek, The Reserve Club, and Champions Retreat. All of this making for a golf trip like none other - combining the history and tradition of the game, plus experiencing some of the top courses in the Southeast U.S. Recently, I decided to take a trip back to do some more exploring when it wasn't Masters Week, and do what you should do when you visit a place like Augusta: Golf! 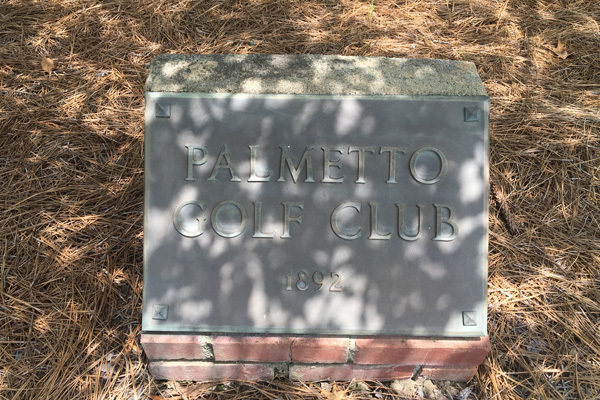 I visited Palmetto Golf Club, established in 1892, and took some time out to explore their history room. They had pictures of entertainer and member Fred Astaire playing with the legendary Ben Hogan in the 1930s. I thought of my grandfather, who taught me the game at age 3. The clubs on display at Palmetto looked just like the ones I remember being in his bag. Most players will tell you, playing these historic courses are kind of tricky. People back-in-the-day weren’t as large, physically as we are today. Golf equipment wasn’t technologically advanced. The fairways are often shorter and narrower. You will find it challenging, but interesting as you feel like you are literally stepping back in time. The clubhouses are like museums, casually displaying treasure troves of archives of the past champions that played and practiced there over the years. 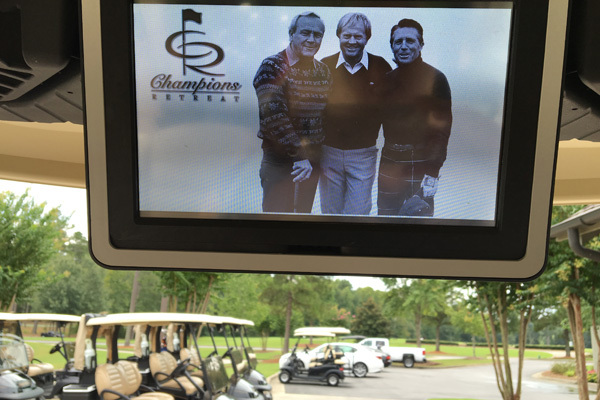 Heading over to play Champions Retreat, a modern 27-hole course built in 2005, and designed by Arnold Palmer, Jack Nicklaus, and Gary Player, felt like the perfect full circle moment to my time exploring the golf history of the area. The courses are exactly what you would expect on a championship level course of today, but with a twist because each nine is designed by a different legend. 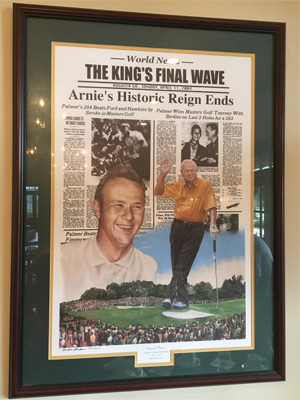 After I played, I headed to their restaurant and explored the club’s memorabilia collection highlighting so many championships won by these golf greats. Playing on the courses that started the game here in the U.S., then playing the modern courses of today’s generation gave me a new appreciation for the sport and of all the past champions that inspired our parents and grandparents to play and teach us. I enjoyed studying these courses, the changes in the style of the game, and walking in the footsteps of all the past champions that once practiced and played on these same greens. After my trip, I decided to start a new division of Sports Traveler. I named it Golf Augusta Vacations and it’s dedicated to golfers who not only love this game, but also love the history of this game. 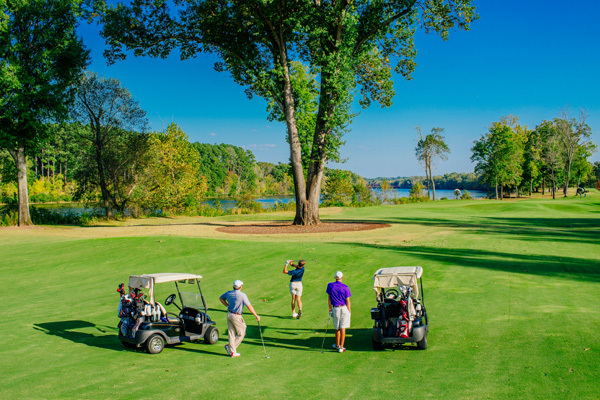 We now plan golf trips to explore and play historic and modern courses in the Augusta area. People say you have to play St. Andrews to understand the history of game. That’s true. But, I think you could also add that you have to play Augusta, Georgia to understand the history of the game in the United States. It is after all, The Golf Capital of the World.